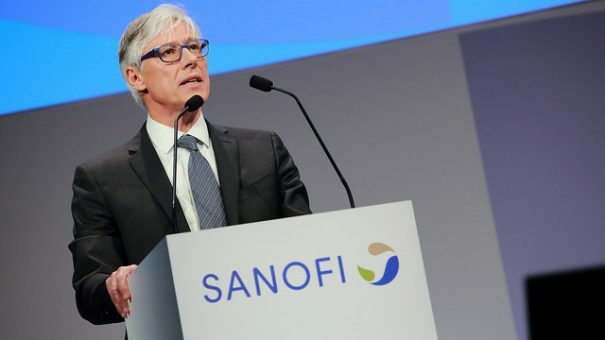 Sanofi has just spent $16 billion on acquiring Bioverativ and Ablynx – and yesterday’s Q4 results revealed why the firm is in a hurry to diversify its revenues. A decision by two leading US pharmacy benefit managers, CVS and UnitedHealthcare, to exclude Sanofi’s biggest products in diabetes saw its US revenues fall nearly 23% to €3.12bn ($3.82bn) last year. This reflects general downward pressure in the US diabetes market, and Sanofi’s biggest seller Lantus (€4.62bn 2017 sales, down 17.5%) will face greater pressure this year as biosimilars begin to take more market share in the US and Europe. However despite this pressure, worldwide sales for 2017 rose 3.6% to €35 billion, and the company is forecasting EPS growth in 2018 of 2-5%. CEO Olivier Brandicourt says this growth will be driven by new brands, such as atopic dermatitis drug Dupixent and rheumatoid arthritis treatment Kevzara, both launched in 2017 in collaboration with Regeneron. One existing source of growth is the company’s rare disease division Genzyme, which grew 15.2% to €5.67 billion ($6.97 billion), led by its Myozyme/Lumizyme franchise. The new acquisitions, Bioverativ and Ablynx, are also part of the growth plan, and Brandicourt and R&D head Elias Zerhouni explained some of the potential benefits of their multi-billion euro outlays. 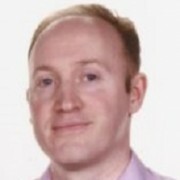 This was necessary because some investors were concerned that Bioverativ’s portfolio of blood treatments could be made obsolete by challengers, including Roche’s new haemophilia drug Hemlibra. While Hemlibra is newly approved in the US for haemophilia A patients with inhibitors, it hasn’t yet gained a licence in the larger non-inhibitors population. Olivier Brandicourt agreed that Hemlibra would be a “very important product for haemophilia in patients with inhibitors” but said penetration into the non-inhibitor population would be much slower. He said this market was growing by 7% and currently worth $10 billion, giving Sanofi plenty of time to seize market share. 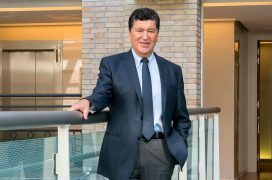 Zerhouni added that extended duration versions of Bioverativ’s two big haemophilia drugs Eloctate and Alprolix currently being developed would help it maintain and grow sales. The need is greatest in haemophilia A patients, where extended half-life factors are currently given twice weekly and the goal is to develop products with once weekly dosing or less. He also pointed to Bioverativ 009, a phase 3 candidate for Cold Agglutinin Disease (CAgD), which is set to be the first treatment for the rare blood condition, and has been granted a coveted FDA breakthrough therapy designation. Bioverativ also has access to novel gene editing technology through its alliance with Sangamo, which could help it compete in cell therapy for sickle cell anemia and beta thalassaemia. The company is planning over 15 new pivotal Phase 3 studies in 2018, and has a number of major submissions and read-outs. Among these are its PD-1 immunotherapy cemiplimab developed with Regeneron, which gained an FDA Breakthrough designation in metastatic cutaneous squamous cell carcinoma (CSCC). Also set for regulatory filings are its multiple myeloma candidate isatuximab, and sotagliflozin in type-1 diabetes, as well as the FDA’s decision on Ablynx’s first product, caplacizumab. The company also plans to submit major label extensions for Dupixent and Praluent, the latter based on the ODYSSEY OUTCOMES, the results of which are expected shortly.